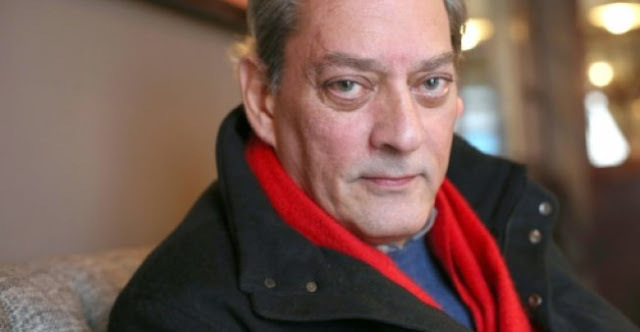 LONDON - US author Paul Auster tops the shortlist for Britain's prestigious Man Booker Prize published Wednesday, one of six books that organisers said "collectively push against the borders of convention". The 70-year-old, nominated for "4321", is up against two other Americans -- short story writer George Saunders, for his first full-length novel "Lincoln in the Bardo", and debut writer Emily Fridlund with "History of Wolves". British author Ali Smith makes the shortlist for the fourth time with "Autumn", while British-Pakistani writer Mohsin Hamid makes his second appearance with "Exit West". Briton Fiona Mozley, 29, is the youngest nominee with her first book, "Elmet". The Man Booker is the world's most prestigious English-language literary award and the winner is guaranteed a huge increase in global sales that dwarfs the £50,000 (55,400 euros, $66,400) prize. "With six unique and intrepid books that collectively push against the borders of convention, this year's shortlist both acknowledges established authors and introduces new voices to the literary stage," said Baroness Lola Young, who chairs the judging panel. "Playful, sincere, unsettling, fierce: here is a group of novels grown from tradition but also radical and contemporary. The winner will be announced on October 17 in London. Previous winners of the prize, launched in 1969, include Ian McEwan, Iris Murdoch and Salman Rushdie. US author Paul Auster tops the shortlist for Britain's prestigious Man Booker Prize published Wednesday, one of six books that organisers said "collectively push against the borders of convention".